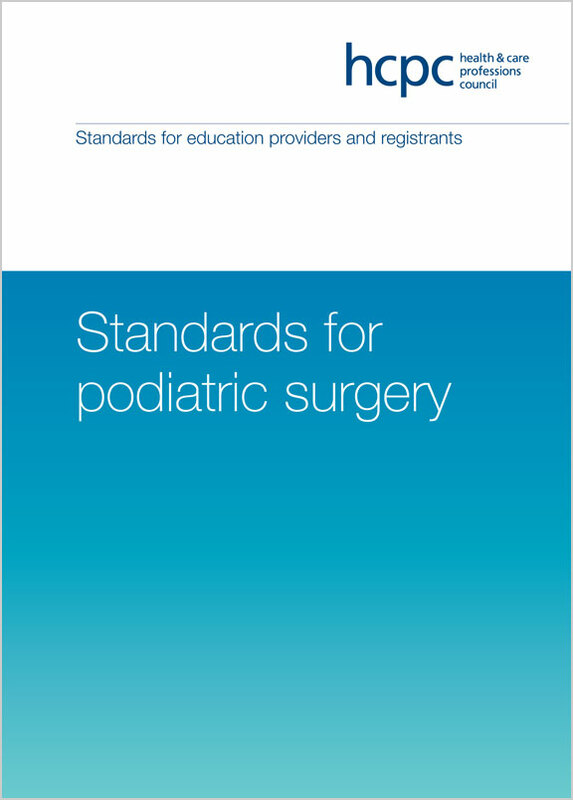 The standards for podiatric surgery play a key role in supporting safe and effective practice in podiatric surgery. These standards have two purposes. They set out our expectations of education providers delivering training in podiatric surgery. skills we expect a podiatrist practising podiatric surgery to be able to demonstrate when they complete their training.